JNTUK 1-2 Time Table 2019: JNTUK B.Tech 1-2 Sem (R16,R13,R10) Regular/Supply Exam Time Tables April/May 2019 are released. Download jntuk I year II sem end examination time tables 2019 below. 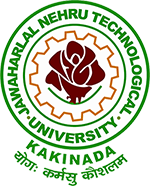 Jawaharlal Nehru Technological University, Kakinada (JNTUK) has announced the B.Tech I year II Semester R16, R13, R10 Regular/Supplementary Examination Time Tables April/May 2019 on it’s official site. The Candidates who are looking for the 1-2 sem time table, All those candidates are requested to download the 1-2 sem R16, R13, R10 Time Tables 2019 from below. After that, the students are advised to start preparing for the semester examinations. You can also get the regular and supplementary examination Jumbling Centres from the official website or here. As per the schedule, the examination will be held from Monday, 15th April, 2019. Jawaharlal Nehru Technological University, Kakinada (JNTU Kakinada) is a public university, located at Pithapuram Road in Kakinada. The college offers various programs and conducts the semester examinations every year. NOTE: i. ANY OMISSIONS OR CLASHES IN THIS TIME TABLE MAY PLEASE BE INFORMED TO THE CONTROLLER OF EXAMINATIONS IMMEDIATELY. ii. EVEN IF GOVERNMENT DECLARES HOLIDAY ON ANY OF THE ABOVE DATES, THE EXAMINATIONS SHALL BE CONDUCTED AS USUAL. iii. THE PRINCIPALS ARE REQUESTED TO INFORM THE UNIVERSITY ANY OTHER SUBSTITUTE SUBJECTS THAT ARE NOT INCLUED IN THE ABOVE TIME TABLE IMMEDIATELY. The candidates who are searching for JNTUK 1-2 sem Exam Time Table 2019 you will need to visit the Official website or click on the above links. Find the “Download button” Click on it. After this process Your Exam Time Table pdf will be downloaded. Save and print for exam.